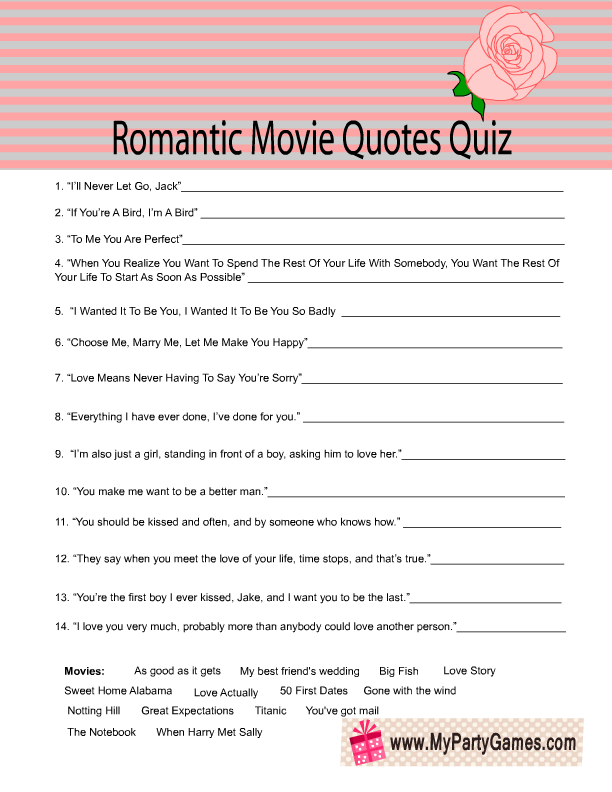 I have already created this Romantic Movie Quotes game for a bridal shower. 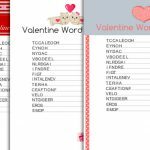 Today I have created Valentine’s Day versions of this game. 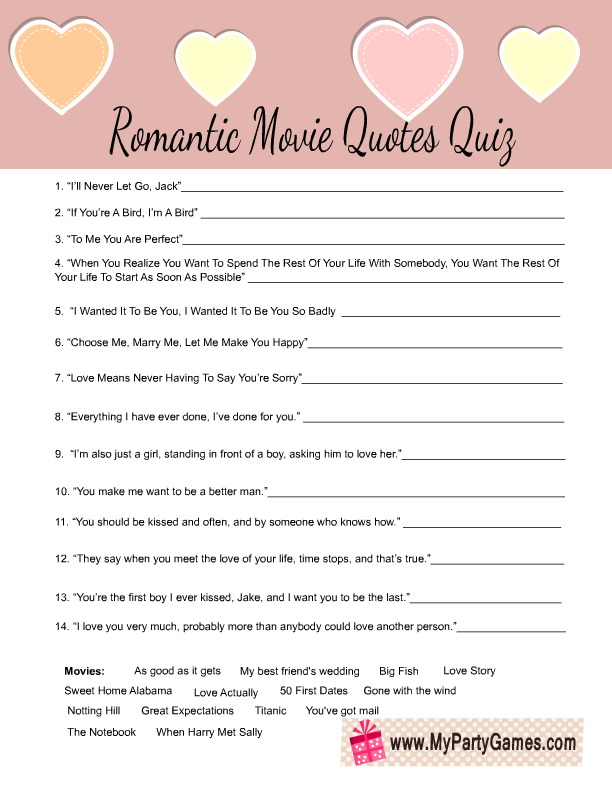 There are the same questions and answers as I have shared in the bridal shower versions but the graphics here are suitable for Valentine’s day. 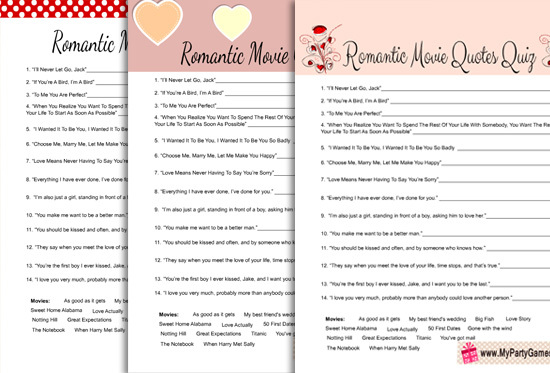 Print and distribute the game cards among the players along with a pen or pencil. 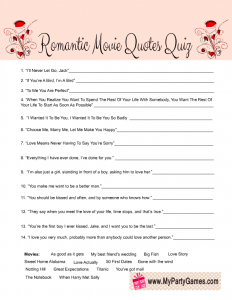 Ask them to write the name of the movie from which the quote is taken in the blank space in front of the quote. 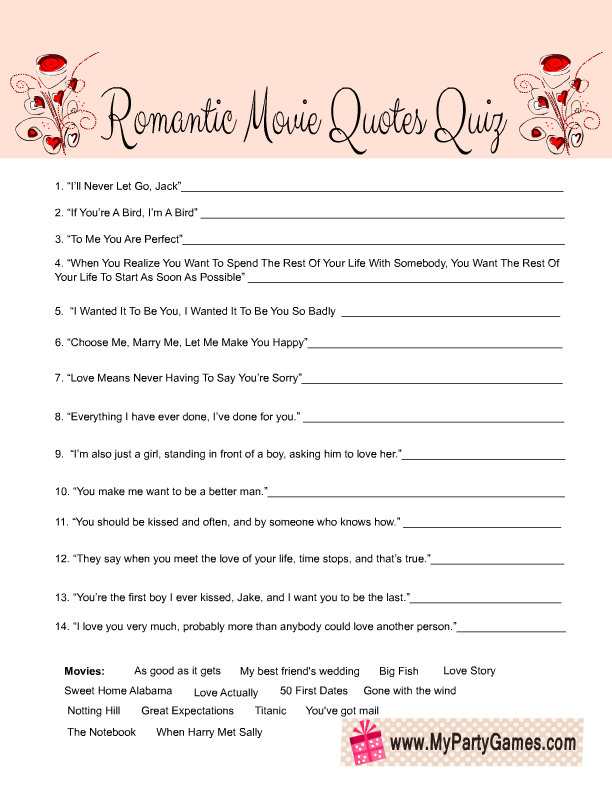 I am also sharing a printable answer key at the bottom of this page. 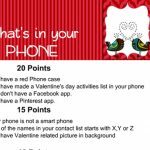 You can check the answers of each player and the person with most correct answers will be the winner. 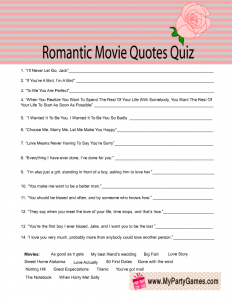 This is the first free printable for this Valentine’s day Romantic Movie Quotes quiz. 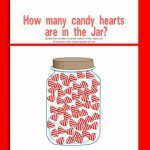 Just click on this thumbnail image and a bigger printable image will open up, right click and save that image. 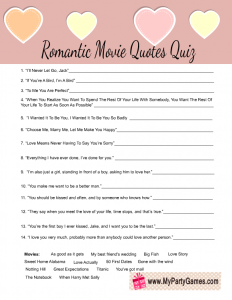 This is another cute free printable image that I have made for this quiz. 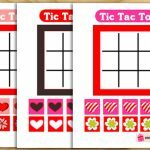 This beautiful game card is decorated with pink and grey stripes and a cute pink rose. Just click on this thumbnail and a bigger image will open up, you can right click and save that image. 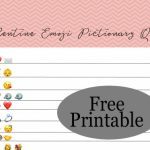 This is another free printable game graphic that you can download. 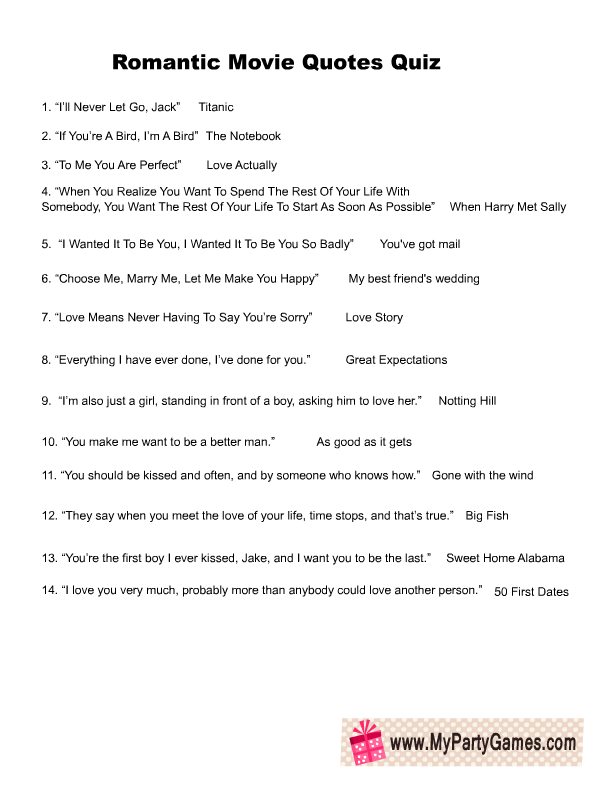 This is the answer key with answers to all the 14 questions given in the quiz. 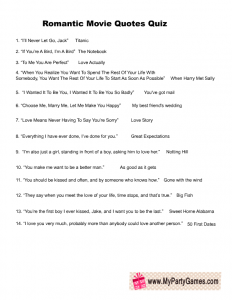 You will only need just one copy of this answer key. Just click on the thumbnail that I have shared above and then right click and save the bigger image.